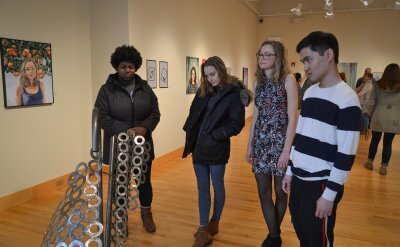 On Saturday, March 24, four senior art majors - Caitlyn O'Neal, John Schrock-Shenk, Jill Steinmetz, and Maddy Keener - displayed their artwork and hosted a reception in the Music Center's Hershberger Art Gallery. 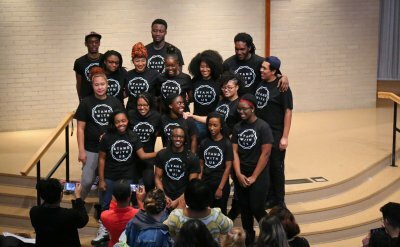 The exhibit will be open through April 28, 2018. 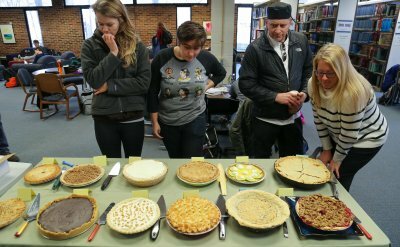 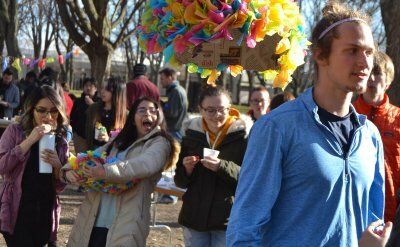 Admitted students gathered to get to know each other and GC better. 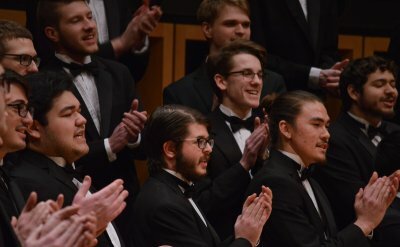 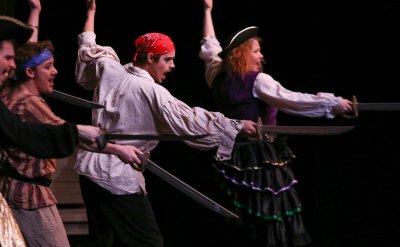 The Goshen College Theater Department’s 2017-18 “Swords into Plowshares” theater season continued with Gilbert and Sullivan’s comedic opera “The Pirates of Penzance” on March 16, 17, 18, 23 and 25. 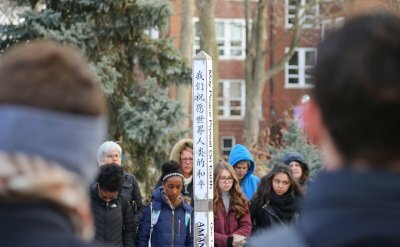 The GC community participated in the nationwide walkout on March 14 by gathering around the Peace Pole outside the Union Building to honor the lives of the 17 people killed at Stoneman Douglas. 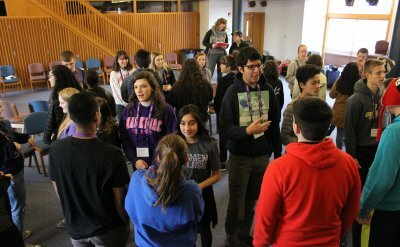 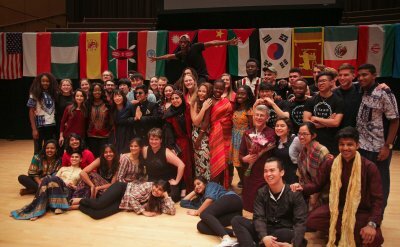 This included a time of prayer, music and reflection led by the Campus Ministries team. 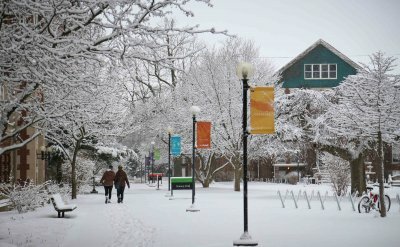 Photos from around campus in February 2018.